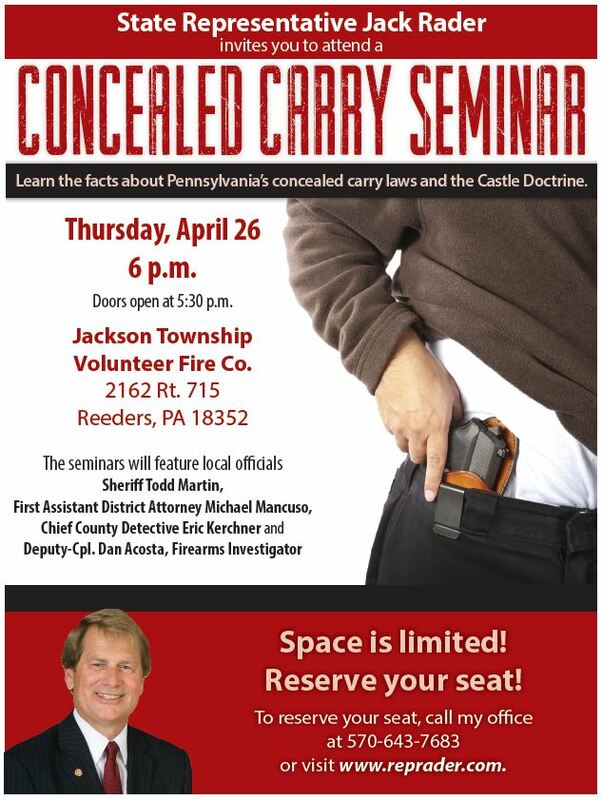 Join State Representative Jack Rader for a Concealed Carry Seminar at the Jackson Township Volunteer Fire Company on Thursday, April 26, 2018, at 6:00 pm (doors open at 5:30 pm). Space is limited, so be sure to reserve your seat now. 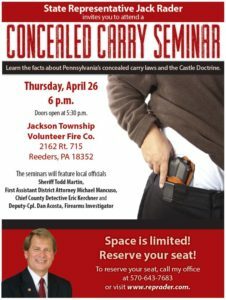 Register by calling Representative Rader’s office at (570) 643-7683 or visit www.RepRader.com.